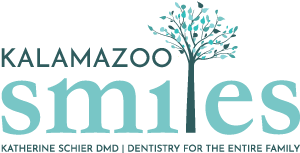 Our Kalamazoo emergency dentist at Kalamazoo Smiles have seen their fair share of dental emergencies and can help you through the next steps towards recovery. If you think you might be having a dental emergency, it’s important to contact our office as soon as possible. Dental emergencies can be scary, but our qualified Kalamazoo dentist can help you handle them whenever they come up. If a tooth has been knocked out of its socket, it’s important to get in contact with our Kalamazoo dentist as soon as possible. A lost tooth might be able to be reimplanted if you act quickly. To prevent the tooth from drying out, store it under your tongue, in a glass of saline solution, or in a glass of milk until you arrive. Our Kalamazoo, MI emergency dentist at Kalamazoo Smiles know exactly what to do in a dental emergency, so don’t be afraid to give us a call! If you are experiencing a dental emergency, stop by our office or call us at (269) 353-3700.